In the previous parts we’ve configured our network infrastructure with DCB and set QoS policies to ensure traffic bandwidth. But there is more! In this part I’m going to shown known and unknown tips and tricks that optimizes your network infrastructure. Traditionally, Ethernet has a maximum frame size of 1500 bytes. An Ethernet packet larger than 1500 bytes is called a jumbo frame. When a network device gets a frame that is larger than the configured MTU, the data is fragmented into smaller frames or dropped. 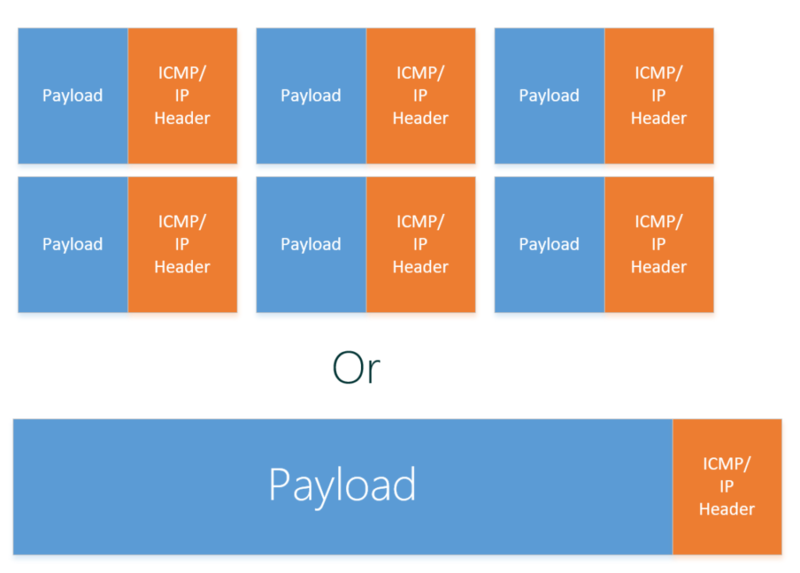 With jumbo frames, the ethernet packet can hold more data which makes data receiving more efficient as normally you would have to send 6 packets to transfer the same amount of data. Jumbo Frames are always under debate, if it really makes a difference and need to be enabled. 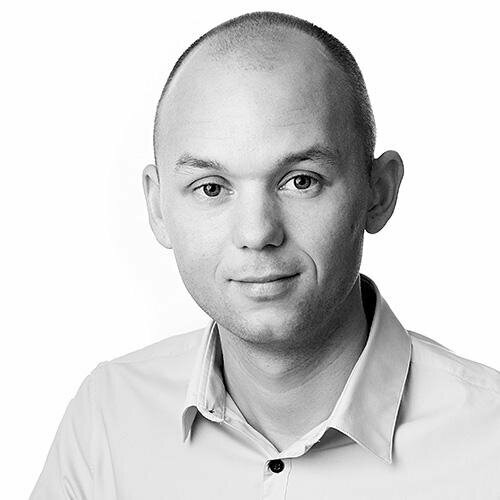 I’m not going into research here, but see this blogpost for some performance tests. In short, jumbo frames enhance IOPS and latency by 20-30% and decrease CPU usage. Do not forget to enable jumbo frames on the switch as well. The “-f” parameter does not allow packets to be fragmented. The “-l” parameter specifies the size of the packet, in this case we use a large packet (jumbo frame). If you get reply’s everything works great! 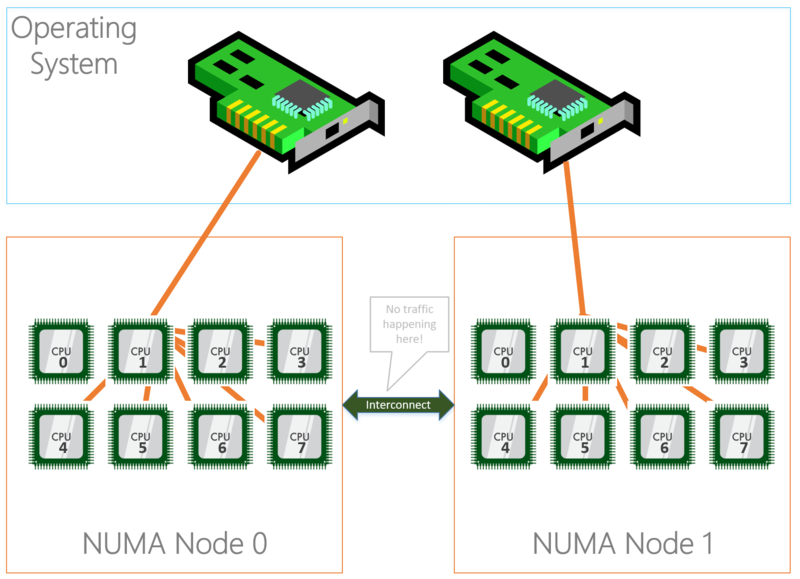 Non-uniform memory access (NUMA) nodes are servers with more than one system bus. These platforms can utilize multiple processors on a single motherboard, and all processors can access all the memory on the board. When a processor accesses memory that does not lie within its own node (remote memory), data must be transferred over the NUMA connection at a rate that is slower than it would be when accessing local memory. Thus, memory access times are not uniform and depend on the location (proximity) of the memory and the node from which it is accessed. Basically what the above text describes is that a server’s hardware is fragmented in even pieces. Based on where the processor, memory and PCI slots is located on the motherboard its “assigned” to each other into a NUMA node. This way I/O is optimized and happens in the same “region” although I/O can cross NUMA nodes when needed, the latency will just be higher. 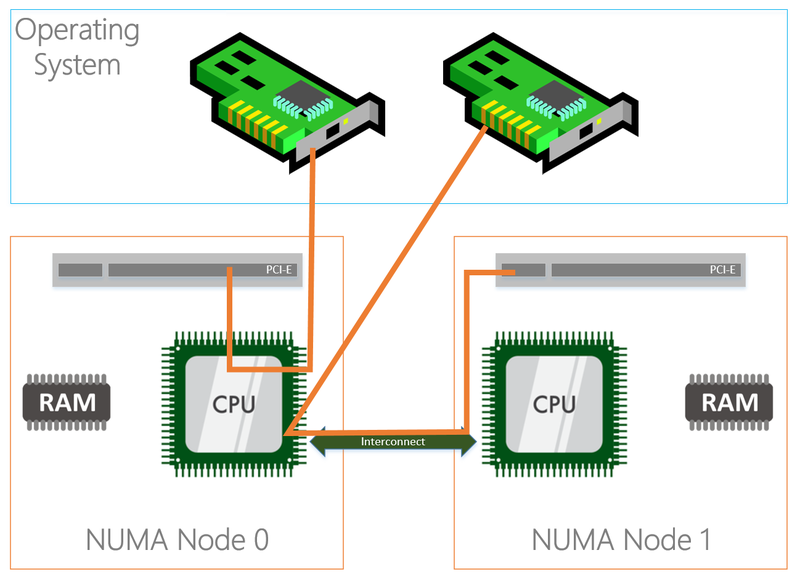 Typically a NUMA node is formed on a physical processor socket, so if you have a two socket machine you would have two NUMA nodes. Physically the PCI-e slots are bound to a NUMA node, but that doesn’t mean that the NICs in the operating system are bound to the same NUMA nodes. By default all NICs seem to bind to NUMA node 0. As you can see in the diagram above, the NIC (in the OS) on the left is physically installed in the PCI-e slot located in NUMA Node 0 and the CPU in the same NUMA node is processing I/O. The NIC on the right is physically located in NUMA Node 1 but the CPU in NUMA node 0 is processing I/O which is not optimal because both NICs are interrupting the same processor while we have another processor that can be used as well. On top of that the I/O’s also have to travel over the interconnect which causes latency. Modern NICs allow assigning to a specific NUMA node in the operating system which overcomes the situation outlined above. In the example below we used a Mellanox ConnectX-3 Pro adapter. Correct, if you’re using RDMA your SMB traffic already bypasses the processor but it still applies for any other traffic (Including traffic of your virtual machines!). If you are not using RDMA this could help a lot. Receive Side Scaling (RSS) is a very important aspect in networking on Windows. RSS makes sure that incoming network traffic is spread among the available processors in the server for processing. If we do not use RSS, network processing is bound to one processor which will limit approximately at 4GBps. Nowadays every NIC has RSS enabled by default, but the configuration is not optimized. Every NIC is configured with “Base Processor” 0, meaning it will start processing on processor 0 together with the others NICs but more importantly it’s the default processor for Windows processes as well. To optimally configure RSS we want to start at processor 1 so we don’t interfere with processes landing default on processor 0. On the other hand, we also want to keep the NUMA node assignment as discussed above in mind so that RSS traffic is not using a processor in NUMA node 1 while the NIC is bound to NUMA node 2. This will have the same latency consequences as described above. 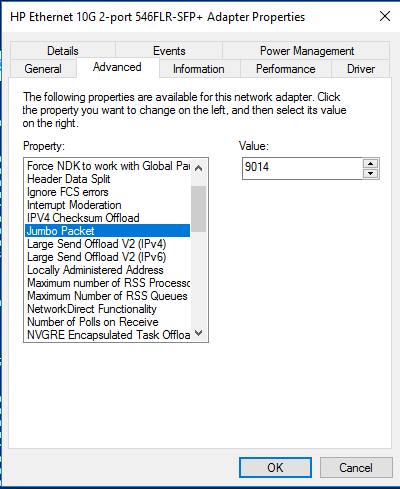 To configure RSS, for the physical NICs and the virtual NICs you can use the Set-NetAdapterRss cmdlet. When you specify the “-NumaNode” parameter, it automatically changes the “Processorgroup” to the right number. We specify the “-BaseProcessorNumber” parameter to let RSS start on processor 1 instead of 0. 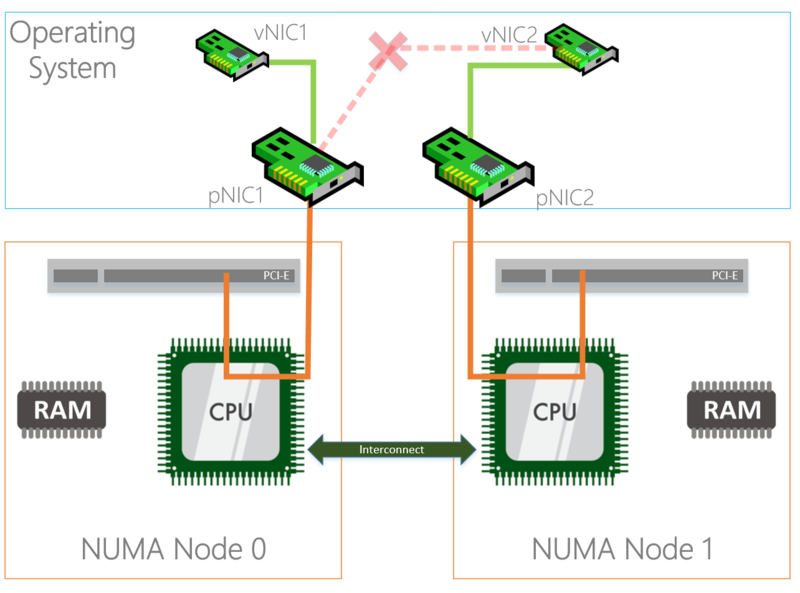 The examples assume we have an equal amount of NICs and NUMA nodes and uses all processors in a NUMA node for one NIC, but it could be that you have more NICs than NUMA nodes and you have to spread for example 4 NICs amongst two NUMA nodes. In this case you can specify a range of processors the NIC may use using the “-MaxProcessorNumber”, which specifies the fixed processor where the range ends from the “BaseProcessorNumber” or the “-MaxProcessors”, which is a count of how many processors it may use from the “BaseProcessorNumber”. This example uses processor 1 as start and the range stops at processor 6. This example uses processor 8 as start and the range stops at processor 11. With the entrance of virtualization on servers and RSS we hit some limitations because RSS wasn’t built for this “new world”. Long story short, when having a virtual switch on the system where physical adapters are bound to, RSS is disabled. This caused scalability issues that needed to be solved… hello VMQ. The real benefit of VMQ is realized when it comes time for the vSwitch to do the routing of the packets. When incoming packets are indicated from a queue on the NIC that has a VMQ associated with it, the vSwitch is able the direct hardware link to forward the packet to the right VM very very quickly – by passing the switches routing code. 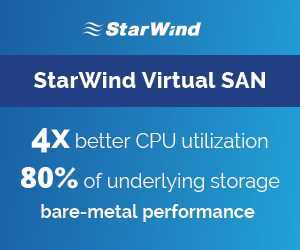 This reduces the CPU cost of the routing functionality and causes a measurable decrease in latency. Unlike RSS where incoming traffic is spread among processors, VMQ will create a queue for each mac-address on the system and link that queue to a processor core. This means that a mac-address, which translates to a NIC of a VM or a host vNIC does not have more process power than 1 processor core. This limits the network traffic speed in the same way it does when we do not enable RSS to about 4GBps. Some NICs have the capability to enable ‘dVMQ’ which stands for Dynamic VMQ. With this, queues can be reassigned to a different CPU at run time based on CPU load and system power balancing helping with a ‘noisy neighbor’. When configuring RSS, VMQ follows this configuration. You can also manually configure VMQ using the “Set-NetAdapterVMQ” with the same parameters as the RSS cmdlet uses. 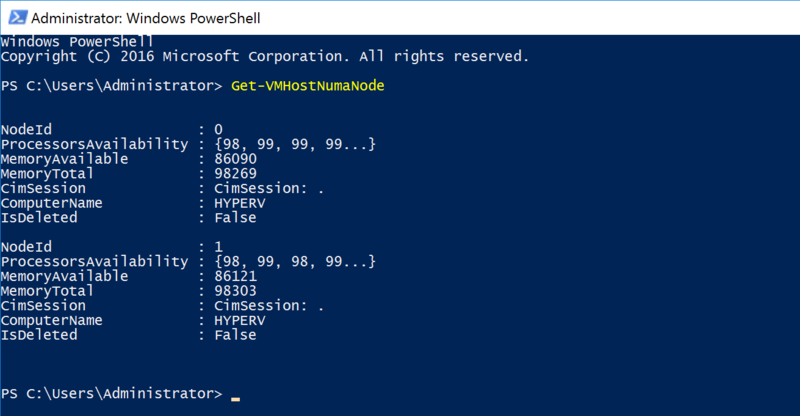 VMMQ can be enabled using Powershell. After you have bound your physical NICs to a NUMA node, configured RSS and VMQ to use the right NUMA node and processors there is one more step to take. By default an algorithm is in place to affinitize a vNIC to a Physical network adapter when they are in a team (LBFO or SET). This algorithm does not always do the things you want, If I have two storage NICs created on my vSwitch I would like them affinitized both on a different physical adapter. Below you will see an example of PerfMon where on “Cluster2-Node1” everything is affinitized properly but on the other two nodes you can see that one of the two physical adapters is doing no traffic at all. This is because both the vNICs are affinitized on one physical adapter. With the above outlined settings and configurations you come along way optimizing your network environment on Windows Server 2016. If you follow the steps, all network related settings are aligned and optimized. Do not forget to test your environment. This example uses processor 1 as start and the range stops at processor 7. Great blog 🙂 Question: What if I have one network card (using one PCIe slot) with 2 x ports? Then I guess both physical ports should be assigned to Numa Node 0? or? It depends to which NUMA node the PCIe slot is bound..
Could be that its bound to NUMA node 1, you can check the distance with the Get-NetAdapterRSS cmdlet as shown in the blog, this way you know for sure. 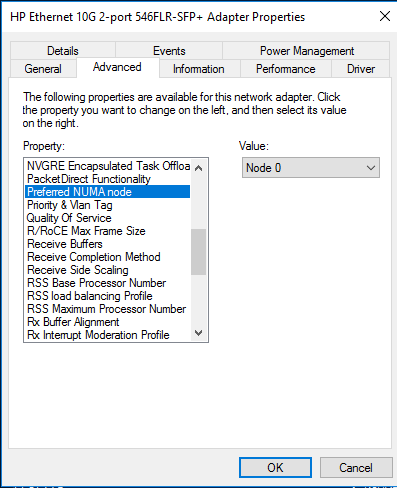 I have a question about using Set-VMNetworkAdapterTeamMapping to affinitize vNICs to a Physical NIC. My configuration is using 2 Mellanox Dual port adapters. So I have 4 physical nics. I found out that you can only have 1 vNIC per Physical NIC. With this configuration would you have SMB1 going to Slot 2 Port 1 and SMB2 going to Slot 3 Port 1? Yes that’s something I would do as well. Thanks you for the great post. But Can you see what is a good value for de other vNetworks in a hyper-converged infrastructrure with Livemigration, ManagementOS and ClusterHearbeat and SMB1+SMB2 vEthernets? Of Course we will set the both SMB vEthernet to easy Core per Node, but what about the other vEthernets like Livemiration, Clusterhearbeat and Management? Thank you for you answer in advanced. In the new converged setup with 2016 I actually never deploy dedicated Live migration and Cluster heartbeat networks anymore. Both are using the SMB/Storage networks. As long if you configure your QoS the right way, this should not be an issue. Thank you for your quickly answer! Yes it was also a option to do everything to the SMB Network. But now we decided and built it in classical way to get the “better” support from MS.
We will actually do 2 physical NIC (in SET) with 5 vEtherner for S2D Hyper-V Cluster. –> VEthernet= SMB1,SMB2,ClusterLM,ClusterHB & Management. We have for each nodes 2x 14Core CPU. Can you help me in my configuration or can you give me a feedback? Woult be very great from you. –> We will only do and configure RSS (vRSS). What about VMQ? Schould we do something? Our VM’s will bind the SET Switch in Hyper-V. Shoul we do a Config for VMQ in our szenario? If you want to have dedicated cores for LM and Cluster, you will have to limit the physical and SMB interfaces with “-MaxProcessorNumber” and then assign those cores to LM and Cluster. Please keep in mind that with RDMA adapters, not much RSS will be used (hopefully). For all other VEthernets i will do just: -BaseProcessorNumber 1 to prevent de Core 0 from the “first” CPU. I did these two lines for my Hyper-V hosts with 8 and 10 cores – can you comment if this is done correctly? Why would you specify “-MaxProcessorNumber” and “-MaxProcessors”, you can use either of the two to accomplish the same. The best way to test is push enough network traffic so you can see which cores are used. However we do see a trend with vRSS and VMQ. Memory allocated for packets in a vRss queue (on CPU 24) on switch 2F575A63-1D84-4B62-A1E0-1BCCE111448B (Friendly Name: Data Virtual Network) due to low resource on the physical NIC has increased to 512MB. Packets will be dropped once queue size reaches 512MB. Hello. I am just trying to enable Jumbo Frames and having some issues and questions perhaps you can answer. Also on Server 2016 here. However, doing the ping with large packets results in a “Request Timed out”. I am planning on driving the iSCSI traffic (for Hyper-V host storage) right through the vSwitch, and I believe this should work. Any advice? Dont forget that your physical switch also needs to have jumbo frames enabled if you want to let the packets outside of your cluster. I understand the binding of the virtual interface to the Physical interface. What I don’t understand is how it functions. In other words, if one vInterface if 192.168.0.1/24 and the other is 192.168.0.2/24, how will communication use both interfaces? If another host in the cluster needs to communicate with any other host, I assume it will perform a look up and will be given one of the two ip addresses correct? If so, would communication use said IP and ignore the other? Am I missing something? I hope I understand correctly. The SMB Client are using SMB Multichannel to communicate over both NICs. I use RSS and VMQ across a dual processor, 16 core E5 (32 HT). Does this look right as I’m still getting issues. Love your site by the way! with hyper threading enabled, 18 cores /socket, gives 36 cores and 72 logical cpus. I have 7 networks on converged nics assigned to SET vswitch. The networks are Management,LM,Cluster,Management,SMB1,SMB2. Can someone please take a look and let me know if this is OK? Also setting VMMQ as shown below crashing windows. I didn’t understand the VMMQ part. By configuring VMMQ, aren’t we supposed to bind a vNIC to a core or not? If yes, how is this accomplished? By enabling the VMMQ, a vNIC is automically bound to a core? You can still specify which range of cores VMQ may use, and then VMMQ will spread among that range. We have HP BL460c Gen 9 with HP FlexFabric 20 GB 2-port 650FLB adapters and we are testing/configuring to use them in 2016 HyperV clusters. I was wondering if there is a way to see if both NIC’s (Emulex) are actually attached to seperate cpu’s (Numa nodes). We believe that only one PCIe slot is used for both LOM’s, so they would only be physically attached to one NUMA Node. Does this eventually mean that we can only use one NUMA node for all RSS setting without a latency penalty? 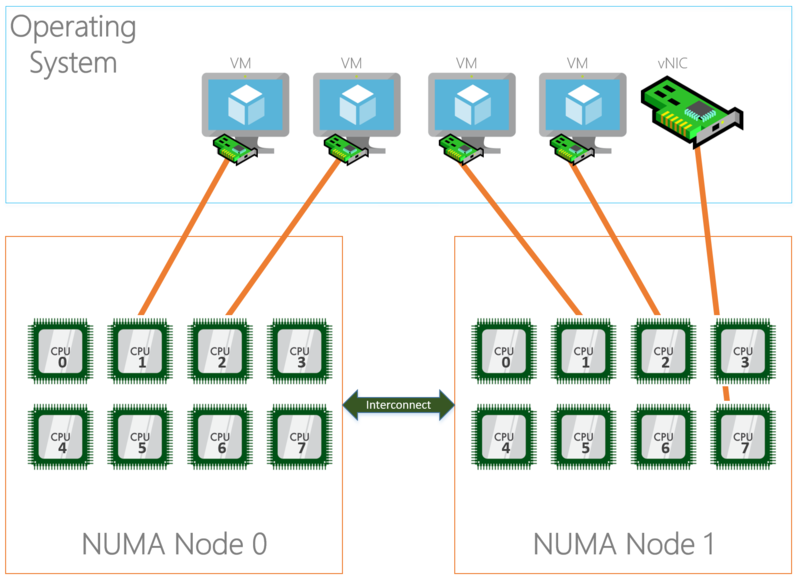 Or do we first need to set the Preferred NUMA node setting before we can use it. Which would mean that we need to be certain that both NIC’s have there own NUMA node. We believe that only one PCIe slot is used for both LOM’s, so they would only be physically attached to one NUMA Node. 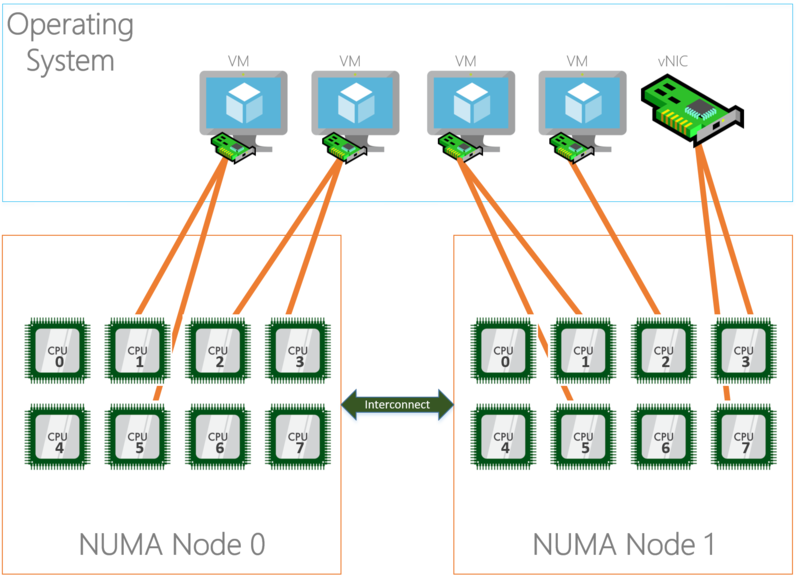 You need to figure out if both LOM’s are connected to the same NUMA nodes and what the latencies are as shown in the blog. One thing that puzzles me though..
From your NUMA Node Assignment example I understand you got a 546FLR-SFP+ Dual Port pNIC, which means both ports are either bound to NUMA Node 1 or NUMA Node 2 right? I don’t get how you can reduce the NUMA Distance by assigning one port on the same NIC to the NUMA Node it doesn’t actually belong to? Am I missing something here? I looked into this when creating this blog post as it had me puzzled as well. And if I remember correctly, HPE (Gen9 in this case) does something with the assignment of the PCIe devices as they are not specifically fixed bound to a specific CPU. The bios sees two devices on the PCIe bus and assigns them among NUMA nodes. Very limited info on this behaviour..